Slim and light: A diameter of just 36mm makes the ergonomically shaped casing easy to handle. A powerful DC special motor in this compact device ensures an astonishingly high cutting performance. Dry Cutter 4" 7" 8"
For carving stone, especially hard granite. and making them into beautiful statues, garden art or memorials / monuments / tomb stones for loved ones. In order to meet excellent quality standards, we are supplying Glass Cutting Disc. 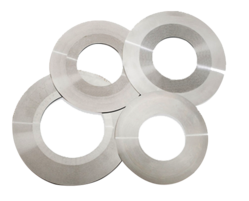 Fast Grinding and Cutting high quality disc has been used to obtain superior performance and in metals. Improves the quality by saving time and reduces operator fatigue. manufactured in-house for the purposes. Pulveriser disc made of d2 material in size 12' /20" having no. Of teeth 360/ 600. After machining disc it is hardened at rc58-60. Cut of wheel For use on chrome, precious and semi precious alloys. Main Material: A grade Brown Aluminium Oxide, two layer glass fibres, one bushing ring, two pieces of black papers (including one label). 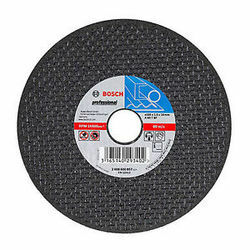 Application: Cutting wheel has a better capability and durability as well as safety performance. - Colors: Black & Brown.